West Texas Intermediate fell for the first time in four trading sessions yesterday. Despite contrasting news earlier in the week, the oil market is very well supplied, with reserves at 398.5 million barrels. US crude was also impacted by the sell off in equities, with the front month futures contract closing $0.87 lower at $101.50. Stronger initial jobless claims from the US inspired the main move for gold yesterday. Fewer claim applicants for the previous week hurt the precious metal by removing some of its safe haven appeal. Whilst we did see some weaker data later on, that failed to reverse the negative trend, with spot gold losing $9 to $1,296. Oil prices moved higher during yesterday's trading, as inventory concerns drove the market. Despite a 900,000 barrel increase in overall oil stockpiles, the draw down at the Cushing storage location was perceived to be more important to commoditiy traders. US crude gained $1.11 to settle at $101.70. 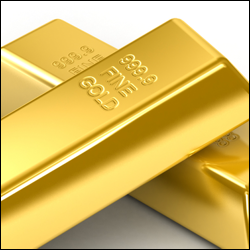 Gold had a positive day as it benefited from the decline of equities. The inverse relationship was clear to see as money was moved from risk assets to less perilous habitats. The precious metal is now at a one week high and investors will be looking to see how the situation in the Ukraine develops. The spot gold market closed $9 higher at $1,305. West Texas Intermediate oil advanced for a third straight day following a report which showed that supplies shrank at the US's largest storage hub. There was little geopolitical news to affect the price and so US crude gained $1.11 to settle at $101.70. The incident free period for gold still continues; the spot market closed just $3 lower at $1,294. Its current lack of volatility is making the precious metal look more 'safe-haven' than ever. But don't be fooled though, it is subject to major swings. The reasoning behind the rise in the price of US crude oil yesterday was put down to speculation that supplies declined for a second consecutive week in America. The oil market will also keep a close eye on China's industrial production today; an increase will see increased demand from the world's second largest consumer. The contract for June delivery settled at $100.59, up about $0.60. Gold is still hovering around the $1,300 mark, settling $7 up at $1,296. The metal is being pulled in both directions; lower by weakening physical demand, particularly from China, and higher as the tensions in Ukraine continue to persist. As per usual, the energy market is being heavily influenced by geopolitical tensions. CFD markets are trading slightly higher this morning on fresh news that a referendum held in East Ukraine to join Russia appeared to be victorious. On Friday, oil weakened on dollar strength, with the June contract settling $0.27 lower at $99.99. Gold has been hovering within $20 of the $1,300 mark for two months now, closing last week at $1,289. The recent trend has been downward on weakness in the euro and receding safe haven demand, although in early trade on Monday morning some support has been found.